On Saturday May 2nd, the Minneapolis branch of the NAACP is set to hold a special election, the second of its kind in two years. The hope is that the elections will lead to a revitalization and reorganization of the chapter, which has faced some challenges in recent history. According to NAACP bylaws, the current election cycle was to have taken place in November of 2014 for the January 2015-December 2016 term. For undisclosed reasons, it did not happen. Jordan says he found out about the situation retroactively upon calling Minneapolis branch president Reverend Jerry McAfee (incumbent). He then alerted the national office, and they called for a special election for all executive committee positions. 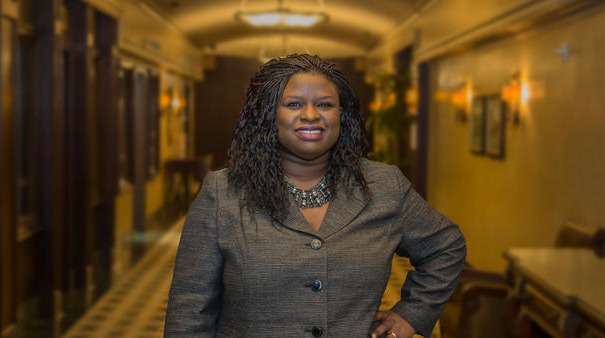 In mid-April, Dr. Nekima Levy-Pounds publicly announced her candidacy for President; so far, she is the only one to have done so. The law professor, activist, and civil rights attorney is a strident voice for civil rights in the Twin Cities. Heavily involved in numerous community initiatives, Dr. Levy-Pounds is a self-described “action-oriented person.” Perhaps most visibly, she acts as an advisor to Black Lives Matter Minneapolis. But she also runs several grassroots organizations, like the Community Justice Program, and chairs the Minnesota State Advisory Committee to the U.S. Commission on Civil Rights. TCDP sat down with Dr. Levy-Pounds on the phone to talk about her decision to run for president. In the wake of the Baltimore uprisings, she spoke about her hopes for the organization and efforts to address issues of racism in Hennepin County. The following is a condensed version of our interview. Twin Cities Daily Planet: Why did you decide to run for Minneapolis NAACP president? Dr. Nekima Levy-Pounds: I decided to run for president of the Minneapolis branch of the NAACP because of my concerns with the racial disparities that exist in the City of Minneapolis. We know that across every key indicator of life, including education, employment, criminal justice, juvenile justice, and income, that people of color lag far behind their white counterparts. Given the NAACP’s longstanding history in this country as a premier civil rights organization and the fact that the NAACP is well known here and nationally…I see becoming president as an opportunity to develop a vehicle that will allow us to push for change on a broader scale than what we’re able to do right now. TCDP: You’re involved in so many different facets of the ongoing civil rights movement. What gap do you think exists in current movements that the NAACP or your potential presidency would fill? NLP: The fact that I’m involved with so many organizations, many of them grassroots, would be an asset if I’m elected president, because I’m already connected to folks who are engaged in this work on a regular basis, who care about these issues. So it’s an opportunity to engage a broader group of individuals who can raise their collective voices in the fight for justice. And I think there’s a very unique opportunity to be able to revive the local branch and to ensure that it is seen as relevant in our civil rights landscape in the Twin Cities, and to bring in folks from different generations who would like to plug in to the movement that’s going on here. TCDP:Talk a bit more about the revival of this branch, considering this is a special election. NLP: So, some feel that the branch has been dormant over the last year, and a lot of the people who had previously been engaged are no longer engaged. Some people are hungry for new leadership within the branch, and a new direction, and that’s what I’m hoping that I’ll be able to bring to the table, along with people who are elected for other positions within the Minneapolis branch. It’s really a chance to be able to connect the branch to some of the activities that are already happening, as well as have the branch set a new direction for what it wants to accomplish. TCDP:What are some of the civil rights issues particular to Hennepin County or the Twin Cities that you are concerned about? NLP: So, income inequality, particularly between African Americans and Whites, is a major issue in the Twin Cities. Across the state for example, the average median income of white families is over $55,000, while it’s roughly around $26,000 for African American families. Another issue has to do with home ownership rates. The home ownership rate for whites in Minnesota is one of the highest in the country, and the home ownership rate for blacks is one of the lowest in the country. We know there are tremendous education disparities in terms of proficiency rates facing African Americans, Native Americans, and Latino students in comparison to their white counterparts, and there are huge disparities as well in terms of graduation rates for those groups. We need to change that, because these young people who are slipping through the cracks of our public education system are our future workforce. So we have to make sure that they have everything that they need to be successful in the K-12 system so that they can go on to college if they so choose, or enter a trade that will allow them to take the positions that baby boomers are currently vacating for retirement in record numbers. Now, blame for these disparities tend to be placed on poor families of color and the communities in which they live. I believe that that’s unfair and unacceptable to place blame on those who are most vulnerable within the system, and that we need to deconstruct which aspects of the system are actually creating the problems that we see. So for example, I’m part of a group called the Black Advocates for Education, and we’ve raised concerns about how the teachers with the least amount of experience and the lowest credentials are placed in predominantly poor black schools on the North Side of Minneapolis, and meanwhile, the teachers with the highest credentials and the most experience are placed in the wealthiest parts of the district, such as the Southwest area. That’s institutional racism, and it needs to be called out. It needs to be addressed, and the district needs to shift their formula for how they allocate human resources across the district. So those are some examples, and then of course, the need for police reform and to make sure that low-income people are not being unfairly criminalized within the City of Minneapolis, which we know that they are. TCDP: What would be your first course of action if you were to be elected? NLP: My first course of action would be to gauge the interest of the members in addressing some of [these] civil rights [issues], and to work with them on prioritizing what they want to accomplish. I will also have some ideas that I will bring forward. But I think it’s imperative that the voices of the membership are being heard throughout that process of engagement. In terms of areas of priority, there needs to be a massive overhaul of policing within the City of Minneapolis. And I know that they’ve done some things like bring in the Department of Justice, but they need to act more quickly to address the problems that even the Department of Justice pointed out, such as the need to re-implement an early warning system so that they can flag problem officers. They also need to report on any progress that’s being made on a quarterly basis, as well as concerns. So for example, through the Coalition for Critical Change, we have asked that the Police Department report data quarterly on the number of excessive force complaints that are being filed, and how those matters are being resolved. That would not violate officer privacy if that data is released in the aggregate. It’s important for us to know that these matters are being addressed. I would also like to see a greater push towards economic opportunity for low-income people within the city of Minneapolis. We know that people of color in the city are significantly more likely to be unemployed than their white counterparts, and a lot of the government jobs in the city are not being occupied by people who live in the city. Also, we need to take a look at what types of resources are available for small business owners who are seeking to expand their operations and hire more people. Sometimes that means connecting with government stakeholders who have access to those resources, and taking a look at their strategy for revitalizing those pockets of the city that have been neglected. I would also like to see a focus on people with criminal histories and making sure that we provide them access to the resources that they need. There are a number of organizations doing some good work in the city around that issue, but I know that many of those organizations are under-resourced, and the need outweighs capacity in many of those cases. So how can we increase the capacity of those organizations to serve more people who have had contact with the criminal justice system and are now experiencing collateral consequences? TCDP:What for you is the importance in engaging youth in these efforts? NLP: When I look back at what happened during the civil rights movement, I’m often shocked to see how often we leave the advocacy and the courage of young people out of the narrative. There was a children’s crusade where literally thousands of children became involved in walking out of school, protesting, marching, braving fire hoses and police dogs, and hundreds were even sent to jail for standing up for what they believed in. I think young people need to know that history, and they need to understand that [their voices] are extremely important in raising the consciousness of adults and other young people and becoming involved in this movement. Young people have so much creativity, energy, and fearlessness that we have to tap into in order to challenge the status quo. Too often, we don’t create space for young people’s voices to be heard, and that’s what I want to do. I’ve had a chance to work closely with young people through my work at Brotherhood, Inc., with law students at St. Thomas, and most recently with Black Lives Matter Minneapolis that’s an entity that is really run by young people who are mostly in their 20s. And I love working with them. They’re willing to push the envelope, and I think that that’s what it’s going to take if we’re going to change the things that we don’t like. The Minneapolis branch NAACP elections will be held Saturday May 2, 2015, 5-7PM or until complete, at Northpoint Health and Wellness Center, 1313 Penn Avenue North in Minneapolis. Those interested must first pay a membership fee, which can be done day-of.